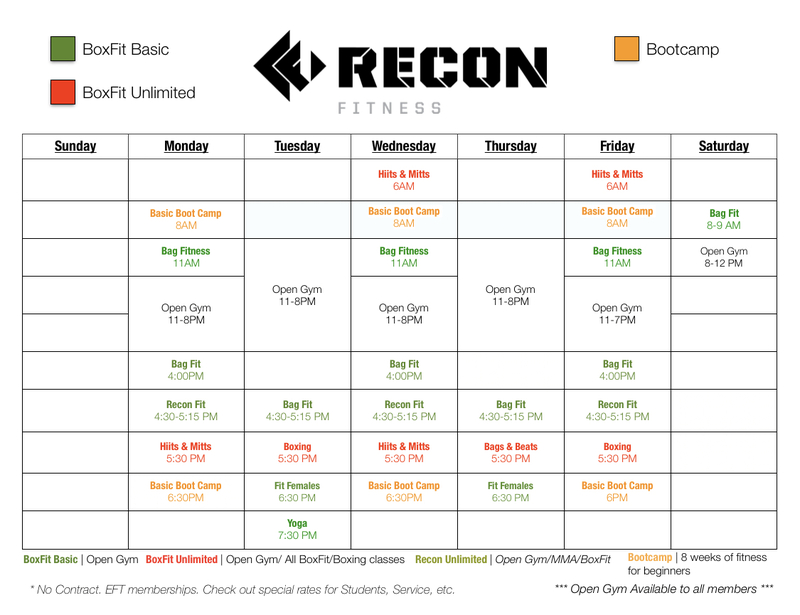 Recon is the most legit coaching garage in Southern Maine. The magic happens in our 6000 square foot facility, just behind Dunkin. We’ve got mats, bags, turf, and qualified coaches that specialize in Group Fitness, Boxing, MMA striking, Jiu Jitsu, Wrestling, cross-training and more. If you’re new – come check us out. Your first class is on us. BoxFit style fitness classes that incorporate real boxing techniques and high intensity cardio training. Classes offer a no contact workout that utilizes the same techniques we use to train our professional fighters. Learn more. Contact us for unlimited packages and special discounts for students and service men and women. 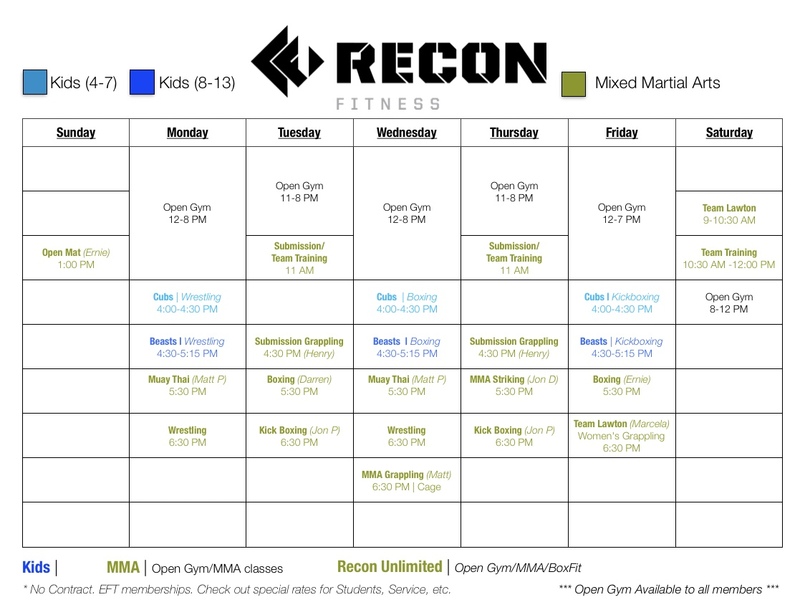 MMA classes for kids (starting at age 4) and adults, including Boxing, Kick-boxing, Muay Thai, Wrestling, Brazilian Jiu Jitsu and Submission Grappling.